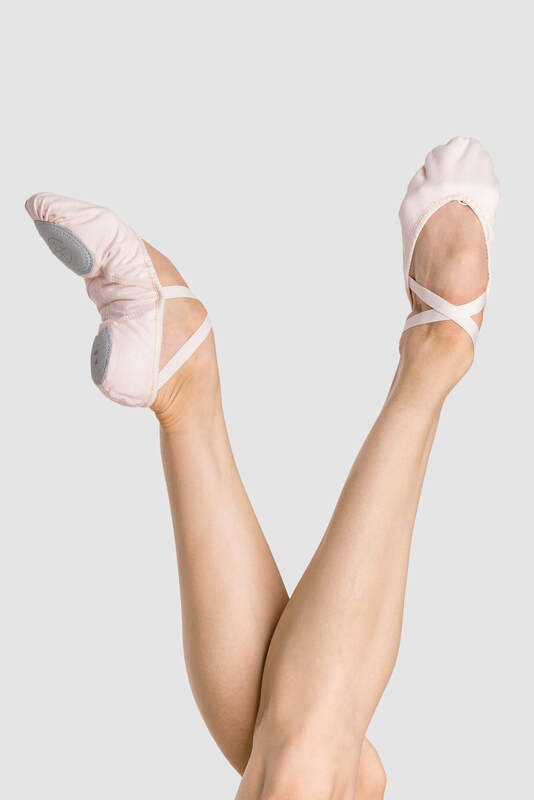 This premium split-sole ballet shoe features high quality canvas and flexible lining for comfort. Flat stitch pleats prevent bunching and bulging under the toes and the sole of the foot. Lower vamp as well as arch stitching shows off the arch of the foot and the shape of the sole which creates a better profile under the foot. Available in two widths.